What is the features of GNZS853 compared with GNZS63-4? 1 Even it is 3 –panel hi-G dryer, its screen area is larger than 4-panel hi-G dryer. The larger the screen area is, the dryer the cutting is. Total deck screen length is 2550mm, the total deck screen length of GNZS63-4 is 2520mm. Total screen area of GNZS85-3 is 3.2m2, but the total screen area of GNZS63-4 is only 3.15m2. 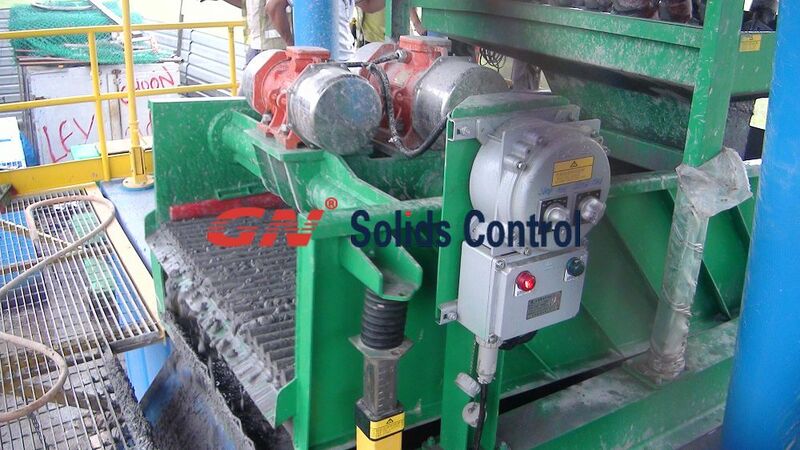 And GNZS85-3’s screen area and total deck length is larger than Derrick 4-panle shale shaker/mud cleaner. So 4-panel shaker is not must be better than 3-panel shaker. 2 3-panel shaker screen can enlarge the effective screen area, the waste screen area is less compared with 4 screen panel. It can improve the performance of hi-G dryer. 3 Mechanical deck adjustable while operation for reliable performance. You can choose buffer box top type or buffer box back type according to your site condition . Also GN provide fine mesh screen for the hi-G dryer with competitive price and reliable quality. We are interested in a sludge/waste dryer to dry the mud and generate heat for electrcity.